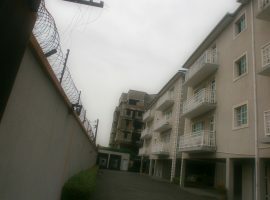 Fully furnished ensuite 2 bedroom apartment. 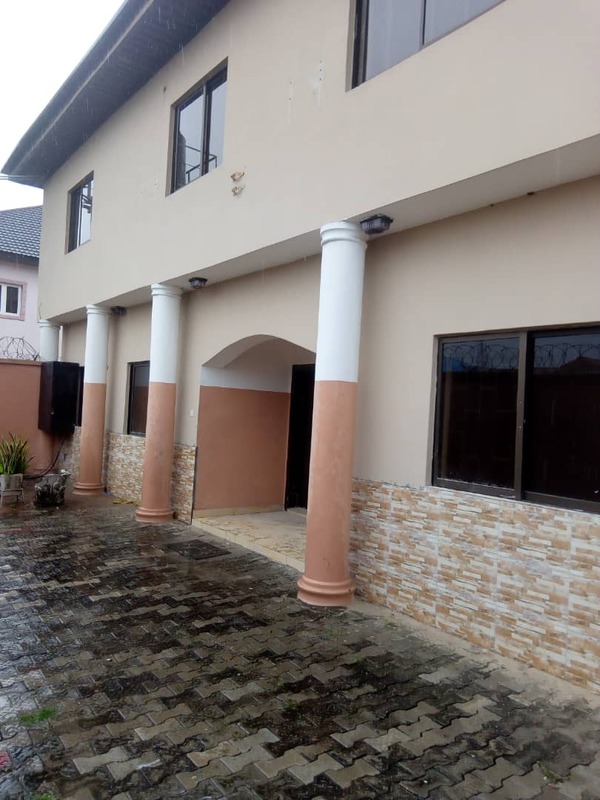 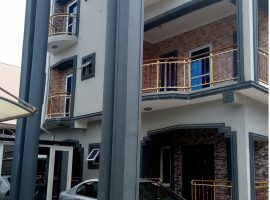 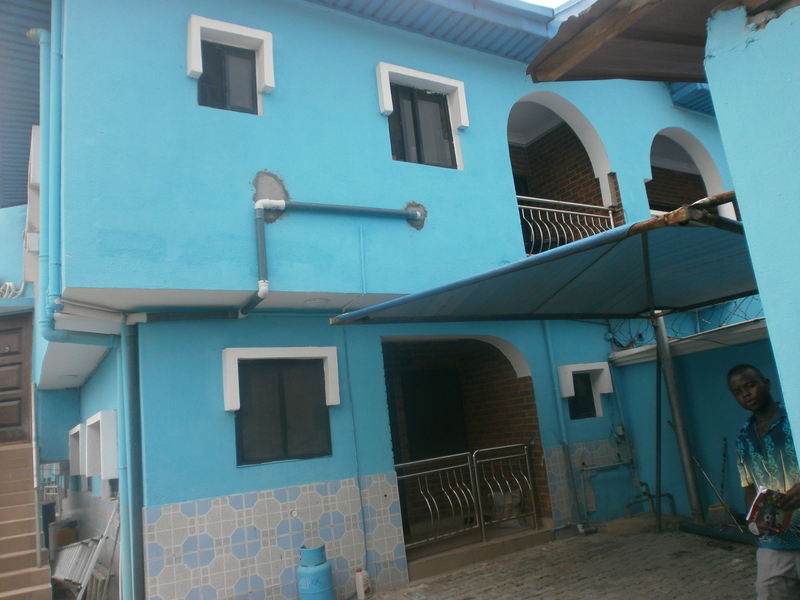 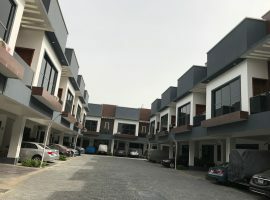 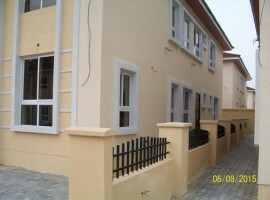 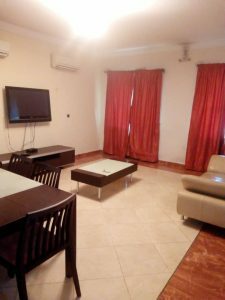 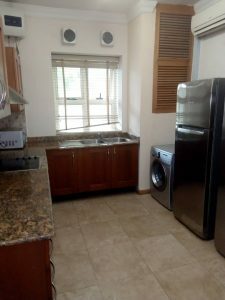 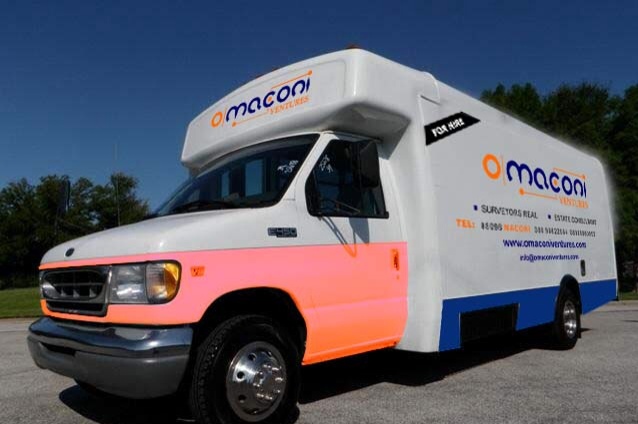 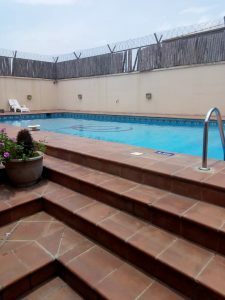 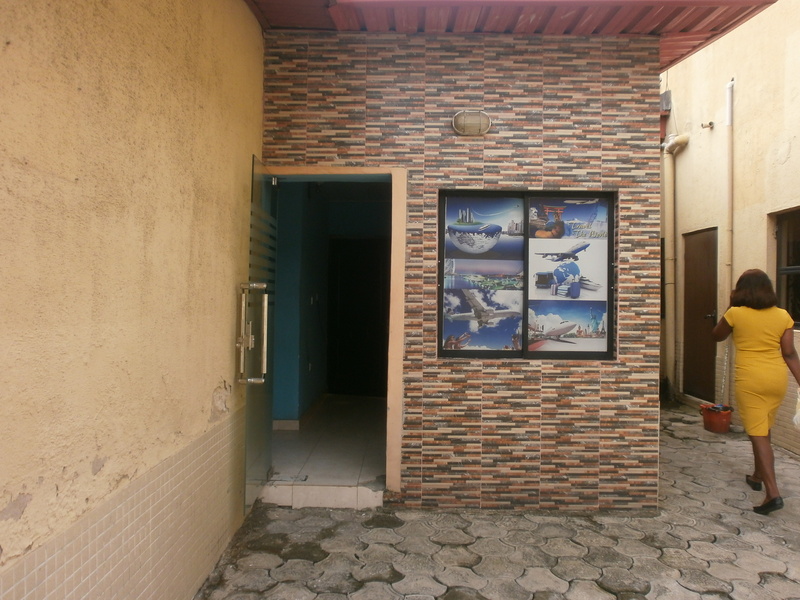 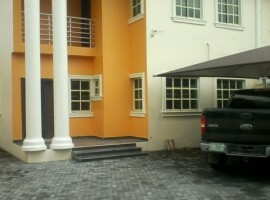 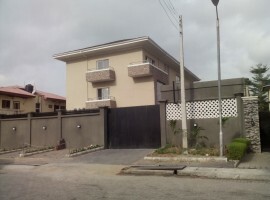 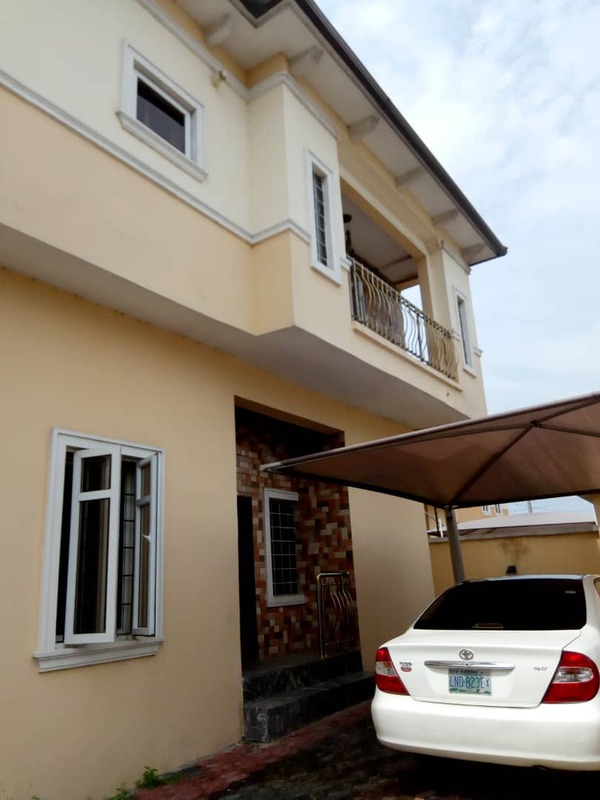 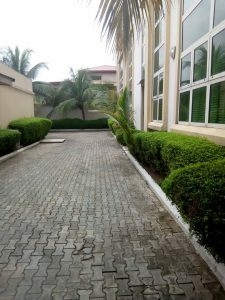 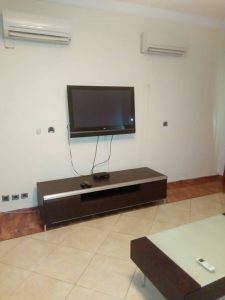 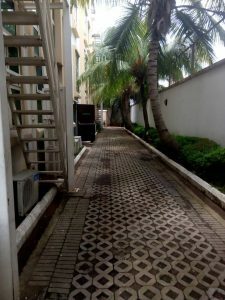 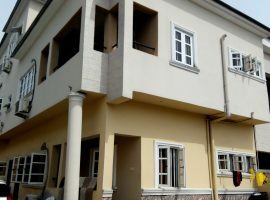 Fully fitted kitchen (2 refrigerators, gas burner,oven,washing machine,heat extractor, water heaters), television, dstv, court yard, swimming pool, 24 hours uniformed Security, 21 hours light on week days and 24 hours light on weekends, water treatment, ample parking space, furnished sitting room, 4 by 6 beds with pillows, cottons, shelf. 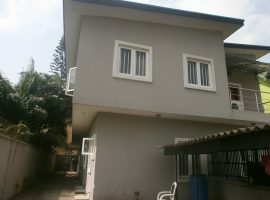 WELL FINISHED TWO (2) BEDROOM FLAT. 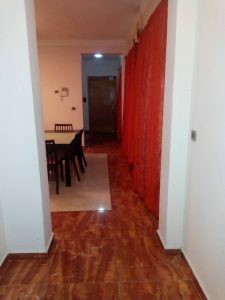 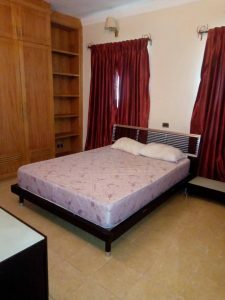 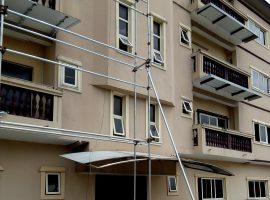 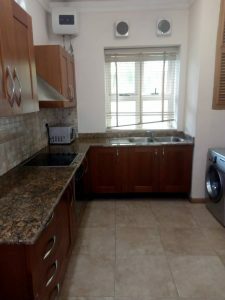 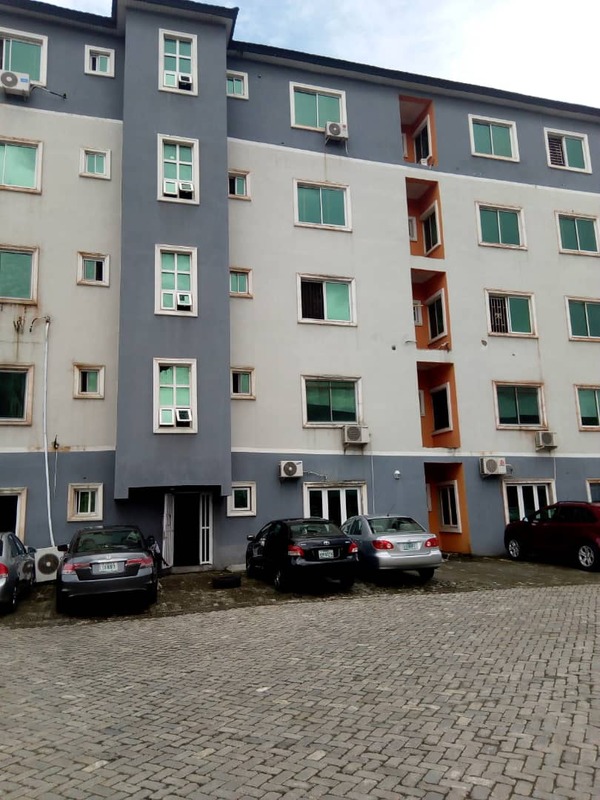 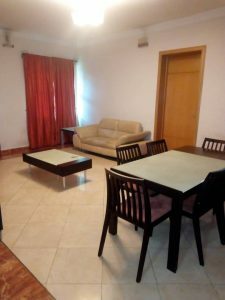 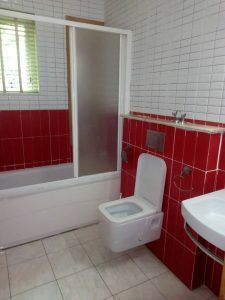 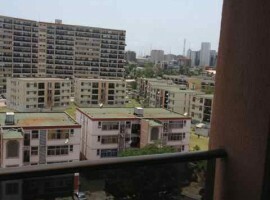 SERVICED THREE (3) BEDROOM FLAT.